Pour into a rocks glass with ice and stir briefly. 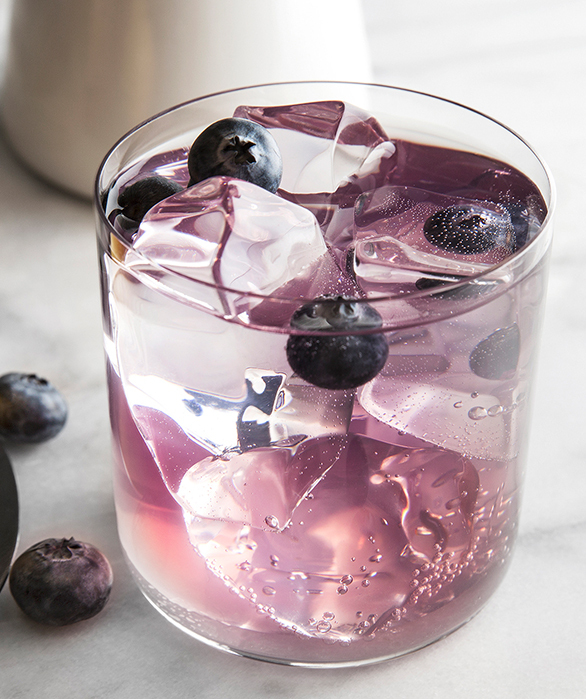 Garnish with floating blueberries. Muddle mint, berries and simple syrup in a shaker. Add ice, vodka and lime juice. Shake well and strain into ice-filled highball glass. Top with club soda. Garnish with mint sprig. 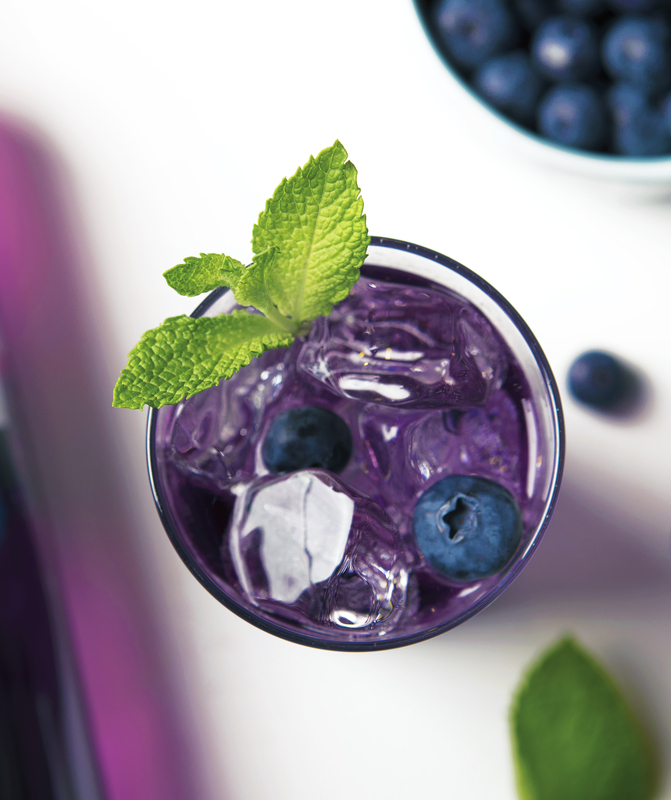 Muddle the blueberries in the lime juice and honey syrup. Add remaining ingredients with ice and shake well. Strain into a martini glass. 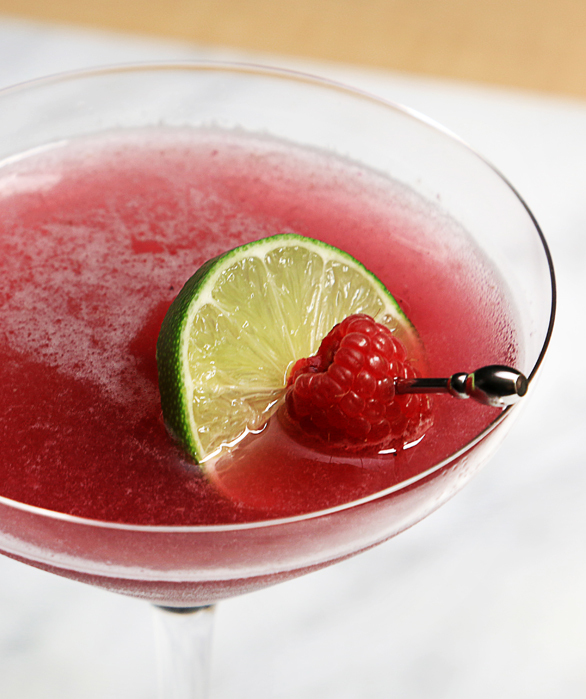 Garnish with two raspberries and a lime wheel on a pick.